One of my favourite things about not being in class is sitting at home, watching Turner Classic Movies all day. Today Meet Me in St. Louis came on. I always consider that movies to be a Christmas movie, even though it’s not. My family and I always watch it around Christmas time, so I guess that’s why. I love love love watching TCM mostly just to see the amazing costumes in a lot of these movies. 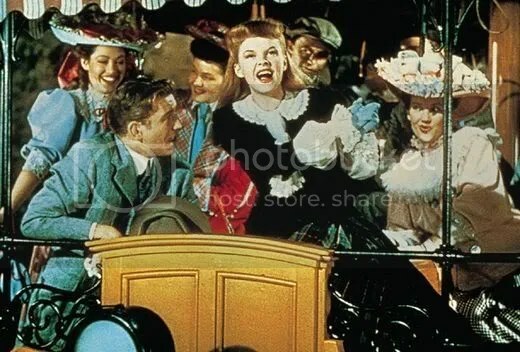 I wish I could find a good, clear picture of what Judy Garland is wearing during “The Trolley Song”. Go to more for a the clearest picture I could find a clip from the movie. You can’t really see the gorgeous plaid skirt she’s wearing in the picture, or the grainy video. Oh well! I would dress like this everyday if I could. It also made me want a boater hat ridiculously bad. Maybe they’ll be in stores here next summer, seeing as we’re like.. a year behind the rest of the world and these seemed to be quite popular this past summer. from liebemarlene vintage [check this out, this girl is incredibbbble]. is that the clip that’s in wall-e? i think it might be! p.s. 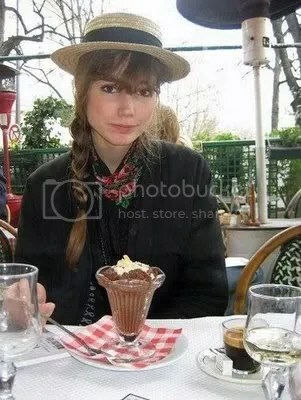 steph you especially should look at liebemarlene’s fashion blog, you will dieee. i would like to watch this movie too!